A&L Great Lakes Laboratory has been a part of the N-TRACKER Program since its inception over six years ago. 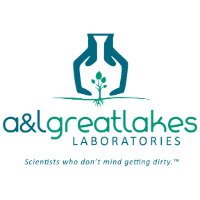 A&L Great Lakes Laboratory provided help with establishing sample submission protocols and has always provided a 48-hour turn-around (business days) of samples submitted specifically for plant-available N testing. All N-TRACKER Plus samples will be tested by this lab in order to maintain continuity of sample analysis.